CESQG. The derived-from rule. The K-list. The rebuttable presumption. Do you speak the language, or are you hastily removing the shrink wrap from your English-RCRA/RCRA-English dictionary? The federal rules for hazardous waste generators in the United States have been in place for thirty-six years now. That’s long enough to develop a dialect and a culture — which you may or may not feel a part of — and long enough to outgrow their original structure. In 2015, the U.S. Environmental Protection Agency (EPA) proposed changes to the federal rules that specify what entities that produce hazardous waste need to do to classify and manage it. If these rules come into effect as proposed, they’ll mean changes for between 350 000 and 540 000 entities that generate hazardous waste. Practically every industry will be affected. It will be easier to find out what you need to do to manage your hazardous waste. As the EPA heard every time it studied whether generators understood the hazardous waste regulations, it’s not easy to figure out what requirements apply to you. If you’ve been complying with the regulations for years, you generally know what applies to you and where to find the information you’re looking for. But for generators who’ve just entered the hazardous waste program, or for those who recently changed generator categories, it’s tough to find out what your obligations are. The proposed rules should make that learning process easier. You’ll see definitions for common terms like “large quantity generator” and “acute hazardous waste”, and the “conditionally exempt small quantity generator” category will be renamed “very small quantity generator”. There will be more instruction to help generators determine how much hazardous waste they generate, and what category that puts them in. Requirements for transportation, storage, and disposal facilities that also apply to generators will be included in the generator rules, and sections will be moved around to make it easier to find the requirements for each generator category. You’ll have more options for managing your hazardous waste. Very small quantity generators will be able to consolidate their wastes at a large quantity generator under control of the same person. Generators will be able to keep their generator category when they occasionally generate more than their normal amount of waste. Generators can apply for a waiver from the requirement to locate containers of ignitable or reactive waste at least fifty feet from a site’s property line. You’ll have more obligations to meet with respect to notification, labeling, reporting, and documentation. The proposed rules aim to improve compliance rates and strengthen environmental protection by addressing identified gaps in the hazardous waste regulations. Container labels will need to include more information about the contents. For tanks, drip pads, and containment buildings, this information can be kept in logs or records. Contingency plans will need to include an executive summary, to give emergency responders quicker access to critical information like site maps and types of hazardous waste. Generators will need to keep more records than before, for things like determinations that a solid waste is not a hazardous waste, and arrangements made with emergency responders. Generators will need to re-notify the EPA every two years. Hazardous wastes will need to be included in biennial reports in more situations. Hazardous wastes must not be mixed or placed in a container with incompatible hazardous wastes. Generators will be prohibited from disposing of liquid hazardous waste in landfills. Large quantity generators will need to notify the EPA before and after closing their site or a unit accumulating hazardous waste. The proposed changes to the hazardous waste generator rules were published on September 25, 2015. The comment period closed on December 24, 2015. No date has been set for when the rules will be finalized, but the EPA has indicated that the final rule is expected to be published in 2016 and then be effective six months later. So starting in 2017, you’ll have some new words to add to your vocabulary — and some new requirements in your audit checklists. Learn more about how these rules could affect you. Nimonik’s team of subject experts keep on top of regulatory changes like those coming for the hazardous waste generator program, then explain the changes in straightforward language so you understand what actions you need to take. Subscribers to Nimonik’s legal tracking service will know right away when these proposed hazardous waste rules are finalized, and Nimonik’s web service and app give EHS managers the tools they need to ensure their facilities meet the latest requirements. You can learn more about what’s going to happen to the hazardous waste generator rules, as well as get an introduction to how hazardous waste is regulated in the U.S., in this free presentation and slides. Hello, everyone. Welcome to Nimonik Expert EHS Webinar Series. Today’s webinar will be on the US EPA’s Proposed Rules to improve the federal hazardous waste generator program. I’ll give everyone another quick minute to settle in and a few last minute attendees to register before we begin. All right. So let’s get started. So like I said, today’s webinar is going to be understanding EPA’s Proposed Hazardous Waste Generator Improvement Rules. Before we begin I’d like to briefly introduce Nimonik as a company, my role here and of course our presenter for today. Nimonik is a software service that provides EHS managers with the tools necessary to ensure environmental health safety and quality compliance in their operations. Nimonik is both a web service and an app that is designed to help auditors inspect the facilities for compliance issues, as well as stay on top of legal updates and maintain a legal register. My name is Melinda Alfano. I am the Business Development Specialist here at Nimonik. I have a background in water resources and environmental management and I will be facilitating today’s webinar, personally looking forward to learning more about the new rules coming soon for generators of hazardous waste in the US. To present this topic to us today we have Sara Lipson a Regulatory Analyst here at Nimonik. Sara is part of Nimonik’s dedicated team of legal content developers who give Nimonik’s clients their legislative updates and write and maintain environment health and safety compliance audit protocols. Sara works on North American legislation with a particular focus on the US regulations at the federal and state level. So throughout Sara’s presentation feel free to add any questions in the Go to Webinar question box and we’ll address as many of those as we can at the end of the presentation. Sara’s also giving me the freedom to interrupt her with questions throughout today’s webinar. So I will be jumping in occasionally with a few of my own questions. You’ll also be able to note at the end of the presentation if you would like us to send you a copy of the slides. So while this topic does focus on US legislation, I’m happy to say that we have attendees joining us from all over the world today. So thank you all for participating. And without further ado, here is Sara on the new Rules for Generators of Hazardous Waste in the US. Thanks, Melinda, and welcome everyone. Today you’re going to hear about some big changes that are coming to the federal Rules for Hazardous Waste Generators in the US. These rules have been in place for 36 years with only minor changes, but that’s about to end. The US Environmental Protection Agency or EPA is about to rule out some major amendments. So some of you may be here because you’ve heard that the Hazardous Waste Generator Program is going to change and you want to know more. Some of you may not have realized that these changes are coming and you’re ready to find out what’s happening. And some of you may just be here to learn about how hazardous waste is regulated in the US and we’ll talk about that, too. These changes could affect between 350.000 and 540.000 entities that generate hazardous waste and included in that number are between 290.000 and 470.000 producers of very small amounts of hazardous waste who would only be affected if they take part in certain voluntary programs. And practically, every industry is going to be affected. So instead of coming at these changes at ground level and having to react to them each individually, let’s get above it all like the people on these cable cars and we’ll look at where these changes are going to take you. This webinar will give you the information that you need to understand how hazardous waste is regulated in the US, what people who produce hazardous waste need to do with it and what’s going to happen to the hazardous waste generator rules. Today I’ll be telling a story with three chapters. In chapter one I’ll explain the act and regulations that are used to regulate hazardous waste. In chapter two I’ll tell you what people who generate hazardous waste need to know about the responsibilities under the current legislation. And in chapter three I’ll show you the types of changes that are coming to the Hazardous Waste Generator Rules and what effect those changes will have. Chapter one of our story begins in 1976. At the time the amount of municipal and industrial waste in the country was growing and its effect on human health and the environment was getting harder to ignore. In 1971 the EPA started a project called Documerica and the intent of the project was to document changes in the American environment using photographs. By the project’s end in 1978 there were over 20.000 photographs and these give us an idea of the crisis in hazardous waste management that was happening at the time. These photos appear in shows all over the country and they brought the issue to the public’s attention. In the collection, which is now at the National Archives in Maryland and available online, there are photos like this one taken in 1972 of empty pesticide cans and this one taken in 1973 of drums of hazardous industrial waste stored in a swampy field in Louisiana. And here’s a picture taken by the EPA of a place nicknamed the Valley of the Drums. So this is an infamous disposal site in Kentucky that dated from the 1960s. It contained thousands of drums of toxic waste from paint and coating industries and it was abandoned by its operator. So to address problems like these, the United States enacted a law to regulate disposal of solid waste and hazardous waste. And this law was called The Resource Conservation and Recovery Act or RCRA. And it wasn’t brand-new law. It was actually amendments to the Solid Waste Disposal Act. The intent of RCRA was fourfold to protect human health and the environment from waste disposal hazards, to conserve energy and natural resources, to reduce the amount of waste produced, and finally to make sure that waste is managed in an environmentally sound manner. So RCRA requires hazardous waste to be managed from cradle to grave and that means from their point of generation through any sort of transportation, to their treatment storage or disposal. And RCRA also has requirements related to non-hazardous solid waste and to underground storage tanks that we’re not going to focus on today. And it also gives the EPA the authority to develop the Hazardous Waste Program. To carry out the Hazardous Waste Program, the EPA published waste management regulations in the Code of Federal Regulations or CFR and that’s a collection of all the US federal regulations. The hazardous waste requirements specifically are in the Protection of Environment part and that’s called Title 40. And these waste management regulations carry off the intent of RCRA by giving the technical details for the waste management requirements. The main regulations that people who produce hazardous waste need to know about are 40 CFR Parts 260, 261 and 262. Parts 263 through 279, they cover other requirements related to hazardous waste. These include requirements for hazardous waste transporters, requirements for hazardous waste treatment storage and disposal facilities, for the state hazardous waste management programs, for used oil and for universal waste. And universal waste is batteries, pesticides, devices containing mercury and lamps or bulbs. RCRA allows each state to implement its own hazardous waste programs and laws in place with the federal governments just as long as they are at least as stringent as the federal regulations. So if the state program meets those conditions, then the EPA can authorize the state program and entities in that state they would need to comply with the state requirements in place of the federal requirements. So when you inspect or audit your facility for compliance with hazardous waste regulations, you need to know the state hazardous waste regulations, too. And some providers have an audit checklist, such as Nimonik help their clients ensure that they’re in compliance with the local requirements by including state differences in their federal audit checklists. And if a state doesn’t have its own programs, then the federal hazardous waste requirements apply there. And I’ve got a map here that shows just the differences in how the categories of hazardous waste generators are classified in different states. Most state hazardous waste programs differ from the federal program in other ways, too but this is looking at one aspect of the differences. Since its inception the Federal Hazardous Waste program has evolved and expanded. Changes to RCRA are passed by Congress and then published in the US Code. And you can see the text of the US Code online. It’s at uscode.house.gov. And the text of RCRA specifically is in Title 42, chapter 82. Changes to the hazardous waste regulations in Title 40 CFR, even in contrast they’re published in the Federal Register. And the Federal Register is a journal that the US government publishes every day. Melinda: Actually, Sara, if I can interrupt here. About the Federal Register, is it also published online? Sara: Yes, it’s available online from a few different providers. I like the version that’s available at federalregister.gov. I find that one pretty easy to navigate. The changes to regulations are first announced in the Federal Register as a proposed rule and you can make comments on that rule within a defined period and then a final rule that describes the changes to the regulations is published in the Federal Register. And once the final rule comes into effect you can also then find the latest version of the regulations in ECFR, and that website is found at ecfr.gov. Chapter 2 of our story tells you what you need to do if you produce hazardous waste. In the United States hazardous waste is defined under RCRA as a solid waste that has properties that could make it dangerous to human health or to the environment. Hazardous waste comes from larger producers like oil refineries, chemical manufacturers and mines and also from smaller producers like hospitals, auto repair shops, universities and dry cleaners. The key regulations that you would use to determine whether waste is hazardous waste are found in 40 CFR Part 261. So only materials that meet the RCRA definition of solid waste can be classified as hazardous waste. And under RCRA a solid waste is defined as shown in the main part of the slide here. So that’s not so easy to read. Let me pull up the keywords for you. So we see that at a basic level leaving out all the details, solid waste means garbage, refuse, sludge and other discarded material. And those are my own words that I’ve rewritten and rewritten there. 40 CFR 261.2 gives more detail and this section goes on for pages. I’ve included some of it. But again I’ll simplify it for you, removing some of the details. So what this is saying is…and this is going back in reference to the RCRA definition of solid waste on the previous slide as garbage, refuse, sludge and other discarded material. 40 CFR 261.2 is saying that the discarded material is one that’s abandoned, recycled, inherently waste like or ammunition and then it goes on to clarify what abandoned means. And the rest of the section that you saw before it’s just giving more detail on the terms that are being used in defining what the word abandoned means. So now I’ll show you a flowchart that will take you through the steps that you need to take to figure out whether a material is a hazardous waste regulated under RCRA. So the first step is to determine whether your material is a solid waste. So we just saw the definition of that term. And if the material isn’t a solid waste, then it’s not regulated under the hazardous waste rules in RCRA Subtitle C. And if it is a solid waste then you would go on to the next question. The next question. There’s two parts to it. Is the waste excluded from the definition of solid waste? And is it excluded from the definition of hazardous waste? So what this question is talking about is some waste that would normally be solid waste or hazardous waste are excluded from the hazardous waste regulations. So some examples of these excluded wastes are sewage, industrial waste water discharges, radioactive waste, scrap metal is excluded, household hazardous waste, wood treated with arsenic and mining overburden that’s returned to a mine site. Most of the exclusions are listed in the section called Exclusions and that’s in 40 CFR 261.4. So if the waste is excluded then it’s not regulated under RCRA Subtitle C.
If it’s not excluded, then you would go on to the next question. So the next question is. Is the waste a listed hazardous waste or a characteristic hazardous waste? So let me break that down for you. Some wastes are hazardous waste because their characteristic waste. And what that means is that they are ignitable, corrosive, reactive or toxic so they have a hazardous waste characteristic. That’s why they’re called characteristic wastes. Some wastes are hazardous waste because they’re listed. And what that means is that they appear in one of the four lists of waste that are automatically considered hazardous waste based on the process that generated them. And therefore less to know about. There’s the F-list and those are wastes that aren’t specific to one industry sector. And I’ll give you an example. Waste water treatment sledges from electroplating operations. So that has hazardous waste number F006. So all the waste in that list would start with the letter F and that’s why it’s called the F-list. Then we have the K-list. And those are wastes from specific industries. So an example is decanter tank tar sludge from cooking operations. So that’s hazardous waste number K087. Then there’s the P-list. Those are unused chemicals that are considered acute hazardous waste when they’re discarded. And an example there is sodium cyanide hazardous waste number P106. And the final list of the four is the U-list. Those are unused chemicals that are considered hazardous waste when they’re discarded. And an example is benzene. It has hazardous waste number U019. If your waste is not listed and if it has no hazardous waste characteristics like ignite ability then it’s not regulated under RCRA Subtitle C. If it is listed or if it does have a hazardous waste characteristic, then you go on to the final question. So the last question is. Is the waste de-listed? So what de-listing means is that for some wastes the EPA has approved a petition from the person who created the waste to take that waste off the list of hazardous waste. And that de-listing is specific to that person’s facility and process and there can be conditions that have to be met in order for the waste to be removed from that list of hazardous waste. So if your waste is de-listed, then it’s not regulated under RCRA Subtitle C. If it’s not de-listed, then your waste is regulated as a hazardous waste under RCRA Subtitle C.
And some hazardous waste beyond the final point of this flowchart, some hazardous wastes are subject to streamline standards instead of to full hazardous waste regulation. And there are two key examples here: used oil. Most used oil is regulated under a separate part of Title 40 CFR, Part 279. And then there’s universal waste and that’s hazardous waste like batteries and pesticides. It’s produced in large quantities by many producers but it generally has a lower threat than other hazardous waste. So that universal waste is regulated under some streamlined standards in 40 CFR Part 273. People who produce hazardous waste are called hazardous waste generators. So you’re going to be hearing the term generator a lot today. These people need to meet certain requirements for handling, managing and tracking hazardous waste. Generators are classified according to the amount of hazardous waste that they generate in a calendar month for a particular site. The EPA specifies three different categories of generators. So starting from the top here is the least regulated type of generator is a conditionally exempt small quantity generator or CESQG. And they produce 100 kilograms or less of hazardous waste per month or one kilogram or less of acute hazardous waste per month. Next having the second most amount of regulation is the small quantity generator or SQG and they produce more than 100 kilograms, but less than 1000 kilograms of hazardous waste per month. And the final category, the most regulated, is the large quantity generator or LQG. They produce 1000 kilograms or more of hazardous waste per month or more than one kilogram of acute hazardous waste per month. Melinda: Actually, sorry if I could ask you a quick question here. So can you actually be a generator in more than one category at once? Sara: No. The EPA was unclear on that before. But under the proposed rules they made it clear that you can only be in one category at a time. Melinda: Okay. So then on a different level what happens if you produce more or less in one calendar month and then you fall out of your category? How often does the status of your waste generation change? Sara: You’d have to count up how much hazardous waste you produce each month and your category only applies for that month. So if you produce less hazardous waste the next month, then you might move to a smaller category with not as many requirements to meet. And if you produce more hazardous waste the next month, then you might move to a larger category with more requirements to meet. And the proposed rules will also let generators occasionally produce over the category limit without changing categories. We’re going to talk about that later on. That’s called the episodic generation provisions. Sara: I think you had a second question? Melinda: Yeah. So I think you had answered it a little bit. How often they can change categories? Is this like you said once every month, I guess? Sara: Yeah. And as far as just looking overall there’s no limit on how often your category can change. It’s just calculated by the month. Sara: So in a general sense CESQGs are exempt from general hazardous waste regulations. But there’s a few requirements that they have to meet. They have to identify all of the hazardous waste that they generate. They’re not allowed to accumulate more than 1000 kilograms of hazardous waste at a time and they have to make sure that the hazardous waste is delivered to a person or a facility that’s authorized to manage it. And right now the requirements for CESQGs are found in 40 CFR 261.5 and that’s part of the regulations for classifying hazardous waste. Some of the requirements for small and large quantity generators overlap and some differ. So I put them on the same slide here so we can compare. SQGs, small quantity generators, they can accumulate hazardous waste on site for 180 days without a permit and that’s extended to 270 days if they’re shipping more than 200 miles. But they must never have more than 6000 kilograms of hazardous waste on site. LQGs can only accumulate hazardous waste on site for 90 days without a permit. SQGs have to manage their hazardous waste in tanks or containers and LQGs have to do the same or they can manage their hazardous waste on drip pads or in containment buildings. Small and large quantity generators both have to notify the EPA of their hazardous waste activities. They have to use a manifest to send hazardous waste offsite and they have to properly prepare the hazardous waste for transport. Small and large quantity generators both have to meet requirements for emergency preparedness and prevention and restrictions on land disposal. And small quantity generators always have to have at least one employee available to respond to an emergency and that’s called the emergency coordinator. Large quantity generators have to meet more detailed requirements for a contingency plan and emergency procedures. And as well LQGs have to submit a biannual hazardous waste report. The requirements for small and large quantity generators are found in 40 CFR Part 262. As the EPA heard every time and evaluated generators understanding of the hazardous waste regulations, it’s not easy to figure out what requirements apply to you. Generators who’ve been complying with the regulations for years generally know what requirements apply to them and where to find the information that they’re looking for. But for generators who’ve just entered the hazardous waste program or for those that recently changed generator categories it’s tough to find out what their obligations are. One reason for this is that requirements for different hazardous waste generator categories overlap, so you can’t just go to the SQG section or the LQG section to see what your requirements are. So here is an example to put this in context. There were requirements earlier in the regulations that say that a generator must do this or that, but then when you get to the section 262.44, you see from the first line the small quantity generators which is greater than 100 and less than 1000 kilograms. They don’t need to meet those earlier requirements. So to help users find the requirements that apply to them the EPA provides guidance documents and tables like this one and you don’t need to read what’s here. So I’ll just give an example showing how the EPA is telling. Here’s some of the requirements and the regulations and here’s what needs to be met by which category of generator. And this table’s much longer. I cut it down. So to me the very presence of this summary is a signal that the EPA knows that people are having trouble figuring out what requirements they need to comply with. Another challenge in figuring out what requirements apply to you is that a lot of requirements are embedded in the legislation using cross-referencing. So here’s an example of what I mean by cross-referencing. Here on the side…I’ll take this into parts for you so you know what it’s saying. What this section is talking about is that a large quantity generator can accumulate hazardous waste in containers on site for 90 days or less without a permit as long as they meet the requirements for containers. That’s subpart I. And air emissions and that’s subpart AA, BB and CC from the requirements for treatment storage and disposal facilities and that’s 40CFR Part 265. And it also says except as in paragraphs D, E and F and that’s the requirements for small quantity generators. So you have to jump around a lot in the regulations to really get a sense of what you’re being told to do. A further hurdle is that some terms aren’t clearly defined. For example, small quantity generator is defined in the general hazardous waste definitions, but large quantity generator isn’t defined in the hazardous waste generator rules at all, even though it’s a term that the EPA uses and traditionally exempt small quantity generator is described at the beginning of the CESQG section, but it’s not defined precisely anywhere. And then a further complicating factor is that a lot of information that helps generators to understand the requirements that apply to them, that information is published as guidance documents instead of being incorporated into the regulations directly. Undoubtedly, some of these documents don’t take the latest minor changes in the regulations into account and the EPA has acknowledged that some of their guidance offers conflicting advice. Melinda: So sorry to jump in here, but I’m really surprised by this. Can you elaborate a little bit more on how this came to be? Sara: Yes. So about the conflicting advice in the background information for this proposed rule that we’re talking about today, the EPA gives specific examples of where they said one thing in one guidance document and then the opposite in another document. So it’s pretty difficult to meet your legal obligations when even the agency that enforces them isn’t sure what they are. Sara: So the new rules are supposed to clear up those inconsistencies. Melinda: Okay. So do you know if they still intend to do published guidance documents for the new rules or is this going to completely eliminate the process? Sara: I haven’t heard anything about guidance documents for the new rules but I’d be surprised if there wasn’t anything. There is already guidance for the proposed rules at the EPA hazardous waste generators website. And there’s explanations and commentary included with the proposed rule in the Federal Register. So that’s available as guidance already. I think just speaking generally, one reason that governments find guidance documents so useful is that they can issue them without changing the rule itself. The process of changing the rule takes a long time and has to follow a particular process. Melinda: Yes, definitely. And just another quick question for you here. So if it’s going to be in the Federal Register I’m assuming that these guidance documents are also going to be available online? Sara: Yeah. And the examples I’ve given here I’m sure that they are in these examples that you see on my screen, they’re all available online as well and they do still provide useful and generally current information. You can get them through the website, that’s in the bottom right of the slide [26:45] of your generators. Or just google US hazardous waste generator. Sara: So now we come to Chapter three of our story, where I’ll show you what the proposed improvements are to the Hazardous Waste Generator Rules. To give you some background, the regulatory program for hazardous waste generators was originally put into force in 1980. So 36 years later the program has evolved and expanded, the rules have increased in complexity and they’ve outgrown the original numbering system. So history to the reason for these changes. In 2004 the EPA evaluated the hazardous waste generator program and what they heard most often from commenters was that the regulations needed to be more user friendly. So commenters wanted fewer cross-references and they wanted simpler regulations. In response the hazardous waste generator website was improved and guidance documents were issued. We saw some of those earlier. And in 2012 the EPA evaluated the hazardous waste identification part of the program which you’re using to determine whether something is a hazardous waste. And both of these evaluations showed that the way the existing rules are set up makes it hard for generators to figure out whether something is a hazardous waste and therefore regulated and how they need to manage it. So that results in problems for the regulated community because they’re spending effort trying to understand and comply with the regulations and also problems for human health and the environment and results of unintentional noncompliance. More recently in 2014 the EPA asked for comments on hazardous waste management practices in the retail sector and on the challenges that that sector faced in meeting their own hazardous waste requirements. So the result of all this evaluation and feedback is a recognition by the EPA that the hazardous waste rules need to be more clear, more consistent and more flexible. And there’s also studies out there that suggested that the average noncompliance rate with the RCRA hazardous waste determination regulations and that’s what the generators are using to classify and to count their hazardous waste, the studies are showing that the noncompliance rate is as high as 30 to 40%. So to improve compliance rates and to strengthen environmental protection the EPA issued the proposal that we’ll be talking about today. And the aim of this proposal is to improve the entire hazardous waste generator program. The proposed changes to the hazardous waste generator rules in Title 40 CFR were published in the Federal Register on September 25th 2015. The proposed changes have these three main goals. So first, the proposed changes are intended to reorganize the regulations and clarify the text, so that it’s more user friendly and this should help generators comply with the rules. The second goal is to give hazardous waste generators more options for managing their hazardous waste, more flexibility. And the third goal is to address gaps and ambiguities in the regulations that have been recognized over the years. Even though the terms CESQG and LQG have been in use for decades they’re not defined in the hazardous waste rules, so the proposed rules will include definitions for all three categories of generators. Also the conditionally exempt small quantity generator category will be renamed: very small quantity generator. So the three categories of generators going forward if these proposed rules pass as they are will be very small, small and large quantity generators. And there’s also definitions that are going to be added for acute hazardous waste, non-acute hazardous waste which is all hazardous waste that are not acute hazardous waste and central accumulation area. Up until now the sections of the hazardous waste generator rules for CESQGs were in 40 CFR 261.5 and that’s the part that deals with waste classification, so it’s confusing to have the CESQG requirements in there. Under the proposed rules those requirements will move into Part 262, that’s the requirements for generators and so that should make them easier to find and comply with. The section right now for the requirements that small and large quantity generators have to meet when they accumulate different types and amounts of hazardous waste that’s 40 CFR 262.34. That’s a really long section. The requirements for small and large quantity generators in that section are intertwined and overlapping and a lot of the requirements are based on references to other Parts of ten to forty, like as we saw in an earlier example Subpart I of 40 CFR Part 265. So the good news is these requirements are going to be untangled and centralized, so now there will be a section for SQGs, a section for LQGs and then also a section for generators to operate satellite accumulation areas. Satellite accumulation areas, those are hazardous waste accumulation areas that are near a point of generation. Most of the requirements that are referred to by cross-referencing will be spelled out in full in the new sections, so that you don’t have to go to Part 265 to find your requirements. And so now we have at last, there really really will be a SQG section and an LQG section. The proposed rules also include an explanation of the difference between two types of requirements: requirements that generators have to meet simply because they generate hazardous waste and they’re in a certain category and those are termed independent requirements, so those requirements apply regardless of what else you do and then the other type of requirements are requirements that generators have to meet only if they want to be exempt from permitting and those are called conditions for exemption. And the rules also give more detailed directions in other ways. They clarify that generators have to classify their waste at the point of generation and they also have to classify their waste whenever the properties of a waste with hazardous characteristic may change. So classifying your waste means determining whether it’s solid waste, hazardous waste or not regulated. The rules will also offer more explanation of how generators can use their knowledge to classify their waste and they give more guidance on how a generator should evaluate its waste for hazardous characteristics like corrosive or reactivity. They also give more direction on how to determine a generator category and this table here is an example of really spelling out based on the amount of the different types of hazardous waste that you’re producing what category are you in, so there’s no more ambiguity or no one’s unclear about that. And so one of the things they’re specifying, as we spoke about earlier, is that a generator will be in only one category in a generator month even if it meets one threshold for non-acute hazardous waste and another threshold for acute hazardous waste. When the EPA asked for suggestions for improving the hazardous waste generator program commenters told them that there wasn’t enough flexibility in the regulations. So the proposed rules have more options for generators to manage their hazardous waste and we’re going to look at these in more detail in the slides to come. But as a brief overview there are three different types of flexibility that’s being introduced. The first is letting CESQGs consolidate their waste at an LQG that’s under control of the same person. The second type of flexibility is being introduced is letting CESQGs and LQGs keep their generator category when they from time to time generate more than their normal amount of waste. And the third type of flexibility that’s being introduced in the proposed rules is letting generators apply for a waiver from a requirement to put their containers 50 feet from the site’s property line. So we’ll go into more detail about each of those. The EPA heard from a number of companies that wanted to be able to consolidate waste from several CESQG sites and the company thought that this would make their shipping and hazardous waste management more efficient. Under the current rules a CESQG that doesn’t treat or dispose of its hazardous waste on-site has to make sure that it’s delivered to an offsite treatment storage or disposal facility or TSDF. CESQGs can’t send their hazardous waste offsite to another generator under the current rules unless that generator has a storage permit or is a TSDF. So the proposed changes to the rules are going to allow CESQGs to consolidate their waste at an LQG that’s under control of the same person. The CESQG, if they take advantage of that provision, they’re going to have to mark and leave all their waste containers with a description of the contents and with the words VSQG hazardous waste and that’s a very small quantity generator. And then the LQG has some requirements that they have to meet as well. They’re going to have to keep records of each shipment, they’ll have to manage the consolidated waste as LQG waste, like the rest of the waste that they manage, they’re going to have to report the hazardous waste that they receive from their CESQGs and their biannual report. And finally they’ll have to give notice to the EPA or to the authorized state that they’re consolidating that CESQG waste. Melinda: So Sara, just to go back a little bit from what you were saying. Can you give us an example of what you mean by an LQG under control of the same person? Do you mean that from within the same company simply shipping it from one facility to another or is it something else? Sara: Sure. I had the same question myself when I saw that term. It was always being used with those exact words LQG under control of the same person. So what it means is that for the LQG the power to direct the facility’s policies lies with the same person so that could be an individual or corporation or so on as for the SQGs. So within the same company is a good example. Sara: The proposed rules are also going to add flexibility by addressing what was being termed episodic changes in the generators classification. So just like a lot of cities that relax their garbage bag limits for homeowners or around the holidays or when they’re moving, hazardous waste generators might occasionally generate more waste; this could be for planned events like tank clean-outs or demolition projects or could be for unplanned events like a spill or clean-up after a flood. So if the extra waste moves the generator into a more stringent category, like small to large quantity generator, then under the existing rules those generators would have to meet the requirements for the more regulated category for a short time. So the proposed changes will give some more options. 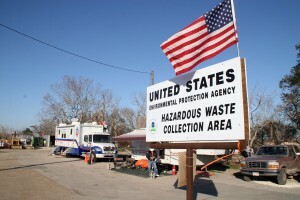 Their generators will have to give notice to the EPA or the authorized state at least 30 days before their planned episodic event or if it’s an unplanned event within 24 hours afterwards and then they’ll have 45 days to complete the event and ship the waste offsite to a required designated treatment storage or disposal facility or ship it offsite to a recycler. And they can also apply for a 30 day extension to that 45 day limit. So if the generators meet those conditions then they get to keep their existing category. They can use those provisions only once for calendar year, but they can ask the EPA or the authorized states for permission for a second event. Generators who use the episodic generation provisions, there’s some additional requirements they have to meet just to make sure their waste is being managed properly. If they don’t already have one, they’d have to require an identification number, they will have to label the tanks or containers of episodic waste. If they don’t have an emergency coordinator, they have to identify one and they also have to keep records of the event for three years. And then CESQGs, because they’re generally less regulated, they have some additional requirements that they would have to meet if they’re going to use this episodic provision. They have to use a hazardous waste manifest to stand the episodic waste offsite and then they also have to manage the waste in certain specified ways, so that the chance of an accident or release is minimized and those ways are spelled out in the proposed regulations. And another way that there’ll be more flexibility for generators relates to something that’s common, they call it The 50 foot rule. This is a requirement for LQGs that says that containers of ignitable or reactive waste have to be at least 50 feet from the facility’s property line. Generators and urban environments they might have properties that are less than 100 feet wide, so they wouldn’t be able to meet this requirement. So the proposed rules will let generators apply for a waiver from the requirement to put the containers 50 feet from the property line. And that’s the waiver would be applied too with the fire department and then the fire department can approve the waiver if it thinks that appropriate precautions had been taken. Many of the changes that will be made to hazardous waste generator rules are meant to address recognized gaps in the regulations to improve the readability of the regulations and also to make it more clear to generators what they need to do. So I’ll talk about some of the facets of that. Under the proposed rules we can look forward to more subtitles that explain what each section or paragraph is about. The proposed rules also have new requirements for generators to include hazards in container labels, so that would be words like corrosive or you could include a hazard pictogram like one from the globally harmonized system or GHS and then the labels would also need to include plain English description of the contents so that would be words like: methylene chloride or organic solvents. And if there’s a tank or a drip pad or containment building, then generators could keep that information about what’s in the containers. The generators can keep that information in logs or records instead of directly on the tank or on the structure. Generators will also be prohibited from disposing of liquid hazardous waste in landfills. That’s not a new requirement. Landfills are already not allowed to dispose of liquid hazardous waste, but now the rules will apply to generators too and that will make it clear to the generators that they share responsibility for keeping liquid hazardous waste out of landfills. Another improvement that’s coming is a requirement related to contingency plans. And those are documents that LQGs need to submit to local emergency responders to describe what needs to be done in an emergency to minimize any hazards to human health or the environment. So this would apply to new LQGs submitting a contingency plan for the first time, they’ll have to include an executive summary in that plan. The executive summary will contain the most critical information for responding to an event, so that would be site maps, emergency contacts, types of hazardous waste and why they’re hazardous among other information. That’s intended to give emergency responders quicker access to that key information, so that they can respond as quickly as possible. And then the requirements for preparing and planning for emergencies are going to change in a number of ways as well. And I’m not going to list all of them, but I’ll give several examples. Generators will first have to try to make arrangements with the local emergency planning committee and then if that attempt was unsuccessful or if they don’t have such a committee in the area then they’d have to make arrangements with local fire departments or other emergency responders instead. Generators have to keep records that document the arrangements that they need. There’s also going to be a clarification that the emergency plans and procedures they apply only to areas where hazardous waste [42:19 release] are generated and accumulated as opposed to applying to an entire site. As well LQGs will be allowed to remove unnecessary personal information about employees from their contingency plans. And regulations on where emergency response equipment like fire extinguishers and telephones where that equipment has to be located, those regulations will be revised to account for modern technology and also to account for situations where it might not be appropriate to store the equipment right next to hazardous waste areas. And my final examples – that’s small quantity generators will be allowed to either contain and clean up hazardous waste spills themselves or they can have contractors do it. So under the current regulations it’s thus the responsibility for cleanup lies with the SQG, but the regulations don’t make it clear that SQGs can contract the work under that rule and still meet that requirement to assume responsibility. Melinda: Actually, can I jump in here? Can I ask you some of your thoughts on the last point that you just brought up? Do you see any potential issues with not documenting solid waste that isn’t under RCRA regulations? Sara: Well, I’m interested to see how this one comes up in the final rule. A lot of the people who commented on the proposed rule were really concerned about that change. It sounds to me like EPA’s intention is to make sure that if a generator looks at what might be a hazardous waste and finds out that is not hazardous, then they keep a record of that. So the EPA is hoping that that will lead to fewer mistakes in counting hazardous waste and then down the line in determining what your generator category is and what requirements you have to meet. But as it’s written, the rule doesn’t make that clear, so the retail sector and university labs and so on they’re understandably worried that this is going to be a ton of other work for them and they’re also concerned that they might be penalized for how they keep their records if the EPA changes its policies and decides to follow the letter of the law instead of their intention as they are stating it in the proposed rules. Sara: Another concern that the EPA has is that a lot of the information that they have on particular generators is outdated and potentially inaccurate and this is because after their initial notification small quantity generators aren’t required to periodically renotify the EPA and most states as well and also large quantity generators, they may have been small quantity generators during their biannual reporting year and therefore they didn’t have to submit a report. So there can be a lot of missing or outdated information. So the proposed rules will require small and large quantity generators to renotify every two years just using the site ID form. So for those who are familiar it’s EPA form 8700-12. That form includes information on the site and its owner and operator, the generator category and the hazardous wastes that are managed. A number of changes are also proposed for the biannual report that LQGs have to submit. The report regulations were created almost 30 years ago and since then the report form and the instructions have evolved so the regulations for the report which listed some of the contents that needed to be included they don’t match the form or the instructions and it’s not clear what hazardous waste has to be reported. So to fix this problem, the regulations from now on wouldn’t list the items to be reported, they’ll just refer generators to the reports instructions. And consistent with existing guidance, the regulations will specify that LQGs have to report all the hazardous waste that they generated in a calendar year even if it’s managed the next year and even for months with an SQG. And biannual reporting is also going to be required for facilities that recycle hazardous waste without storing it first. Melinda: So just a quick question here again on whether this can be found online. So can the reporting be fully done through an online data input system? Sara: At the federal level there’s a PDF form that you can fill out electronically and send it to the website on the bottom right of the slide, at hwgenerators website and some states have electronic reporting tools, which is online forms that you can fill out and elsewhere you could likely just email the PDF. Sara: The proposed changes will also affect the requirements for satellite accumulation areas and those are areas where hazardous wastes are being accumulated that are at or near the point where hazardous waste were generated. Generators can accumulate some hazardous waste in a satellite accumulation area before they move it to a central accumulation area. So these are the rules that we’re talking about here. There’s a new requirement that hazardous waste not be mixed or placed in a container with incompatible hazardous waste. Right now what the requirement says is that the wastes in a container can’t be incompatible with the container itself, but now it’s talking about any other ways that are in that same container. And as well under the proposed rules, generators will be able to choose either a one kilogram maximum weight for acute hazardous waste or they can continue to use the existing one quart volume limit. And flexibility has been added for containers of hazardous waste to be open and in a couple conditions first when closing them could be more dangerous, so like if there’s the buildup of pressure or there’s an extreme temperature or when closing the containers could interfere with operation of equipment that the containers are attached to. For decades the EPA has had to deal with many cases where LQGs that accumulated waste in containers abandoned their facilities resulting in multi-million dollar superfund cleanups. So think back to the value of the drums that we talked about earlier. So to address this, the proposed rules now include a requirement for LQGs to notify the EPA or the authorized state at least 30 days before closing their site or before closing a unit accumulating hazardous waste. And what I mean by a unit there is a container, a tank, a drip pad or a containment building. And they also have to notify the EPA or the state within 90 days after closing the site or the unit. If LQGs that accumulated hazardous waste in containers don’t close the facility by removing the hazardous waste or by decontaminating, then they have to close the facility as a landfill and there’s additional stringent requirements for landfills that they would have to meet and that’s in 40 CFR Part 265. The proposed changes to the hazardous waste generator rules were published in the Federal Register on September 25th 2015 and the comment period closed on December 24th 2015. We don’t know when the rules will be finalized, but the final rule is expected to be published in 2016 and then be effective six months later and that’s according to the latest information I have from the EPA. So we expect the new rules to apply around 2017 to generators in states that don’t have authorized hazardous waste programs. Melinda: So here again. What about the states that have their own hazardous waste programs? Do you have an idea of the timeline there? Sara: Well, the way that the system works is that the hazardous waste program in an authorized state, it always needs to be at least as stringent as the federal program. So if an authorized state is going to keep its authorization it’s going to have to adopt any federal requirements that are more stringent than the state rules or any requirements that have a broader scope. And until they’ve gone through that process which will take time because they have their own procedure for amending rules, then the EPA will amend the more stringent federal requirements directly in that state. So more stringent requirements in this case is talking about things like the re-notification requirements for every two years, the notice of facility closure that we just talked about for the LQGs and the executive summary for contingency plans. So generators in authorized states are going to have to meet any federal requirements that are more stringent than the state requirements and that would happen when the federal rules come into effect which as far as we know is going to be in 2017. Sara: So you remember that we started today by talking about how major changes are coming to the federal hazardous waste generator rules. And that you want to be able to understand what’s coming so that you’ll know what you need to do to ensure compliance. Well, I know the whole story from how hazardous waste is regulated to what hazardous waste generators need to do now to identify and manage their hazardous waste to what the proposed hazardous waste generator improvement rules will hold for the future. So I hope everyone takes something useful away from the presentation today. I think that this regulatory overhaul gives a good opportunity for people to overhaul their own hazardous waste management programs, so I’m glad that we get the chance to talk about these changes before they need to be complied with. So I appreciate your attention today and I look forward to hearing your questions. Melinda: Thank you, Sara, for that incredibly informative session on the new rules for hazardous waste generators. So attendees, please drop down any last minute questions you may have and then I’ll proceed to sharing these with Sara. Before you do, I just wanted to quickly point out that with these new rules coming into effect soon Nimonik can help hazardous waste generators to stay up-to-date with the changes to legislation and to ensure compliance. So through its two main modules, the first being a legal tracking service and the second a mobile auditing tool, your organization can know right away when these proposed hazardous waste rules are finalized and offer you a tool that helps you manage your audits and routine inspections. 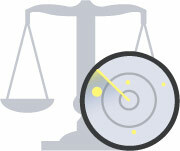 So Nimonik would love to be a part of your efforts to improve your regulatory compliance. Please feel free to give us a call or send us an email for more info. And with that in mind we’ll tackle a few questions. So, Sara, I have a few here for you. I’ll start with this one here. What do you think of these changes overall? Are these regulations any easier to work with? Sara: Well, it is a step in the right direction. I’ve seen the goals that the EPA was trying to meet and I think they made progress towards that, but I think that the changes do fall short of being easy to use. The EPA, they left in a lot of the cross-referencing and that’s understandable. A lot of the reference sections were pretty long. There are still issues where there’s some partial overlap of requirements for different generator categories, so again it’s hard to tease them out if you’re looking for the requirements or just for yourself. There’s terms that are still being used in the rules that aren’t defined, so maybe some of those issues will be worked out by the time the final rule is published. I know that there are hundreds of comments that were submitted through the official process, so I hope that that informs the final rules. Overall, I think for someone who already has basic knowledge of the hazardous waste rules, then the proposed rules will be easier to work with than what’s currently there. I know, I’m happy about the direction of the changes. It does make it easier to understand, but for someone who is new to the subject I think it’s still going to be a steep learning curve. Melinda: Right. Okay. And we have another question here. We’ll try and tackle as many as possible for the time that we have left. So one of them was referring to your slide on the CESQGs being able to consolidate wastes at LQGs. So they want a little bit more elaboration. So what shipping document will the CESQG use to ship the LQG? Sara: I’m trying to think what I saw about that…for the documents. I think that part of the idea is that because they’re under control of the same person then the LQG is keeping records of the shipments. So that’s the extent of what I know about the records and I think that’s the intent, there is that the owner as well the LQG and because they’re part of the same person, which is usually a corporation, then that takes care of that. Melinda: Okay. Perfect. Also we had a few questions on how generators can treat their hazardous waste on-site. So I know you spoke a little bit more about how they have a certain day permit for how much they can have on-site, but can they treat directly on-site for energy purposes, for example? Sara: They can treat their waste on-site, that is permitted, but if they do that then they essentially become…it depends how they treat it, but they become subject to more stringent rules for treatment facilities, so there are more specific requirements in Part 265 for those. Melinda: Okay. And just a quick note for the attendees. We’ll be gathering all of the info from the Q&A as well. So in addition to having a copy of the slides, you’re more than welcome to ask for a copy of the responses in the Q&A. We’ll just get a couple of more in here while we can. So one of them was referring to your slide on the 50 foot rule. Does the 50 foot rule and the waiver only apply for hazardous waste storage buildings versus a facility’s main accumulation area inside a building? Sara: So the specification is just for containers specifically and that requirement is coming from an incorporation by reference of something that’s in Part 265, so that’s the text of the requirements, it is for LQGs and it’s talking specifically about the containers. That’s why I don’t know if there’s a distinction being made as to where are the containers, whether they’re in a structure or not. Melinda: Okay. Perfect. One attendee actually asked a question. Are there any changes with these hazardous waste regulations in the US and how can these apply in Canada? Are there going to be any effects for Canadian hazardous waste generators? Sara: Yes. I mean the requirements in the States do at times inform what gets put into law in Canada and that can depend on the choices of the government that’s in place in Canada as well, how closely they want to be in alignment with the US federal requirements. I don’t know that I’d be looking for that much there. The hazardous waste is regulated quite differently in Canada than the US. So I would suspect that in this particular case as opposed to something like greenhouse gas emissions that there wouldn’t necessarily be a lot of alignment or that we wouldn’t see changes coming from. The other thing is these changes, there are some significant things in here for hazardous waste generators, but they don’t really completely change how hazardous waste is generated in the States. They are basically what the EPA is saying, is improvement rules, so making it [58:33] to read, tightening up some gaps and so on. So again it’s not a complete change in how things are being done for generators in the US. Melinda: Right. Okay. And if we can return to our discussion about the labeling requirements. So regarding those changes, do you know if the requirements line up with those under the DOT and OSHA? Sara: Okay. Good. Another good question. So what this question is talking about is the requirements for labels that are in regulations under DOT, that’s the Department of Transportation and OSHA which is the Occupational Safety and Health Administration. So the proposed rule that we were talking about today, they were talking about the type of information that needs to be included in a label and what they were saying was that the market requirements under DOT or OSHA, those are types of [59:28 markets] that could meet the requirements that the EPA is spelling out, so generators can use markings that are DOT or OSHA compliant or they can use other types of markings as long as they meet the EPA requirements. So there still isn’t a standard uniform format for labels. What’s being specified is more the information that’s included rather than what form it has to take or what it has to look like. Melinda: All right. Perfect. And I will squeeze in one last question. What are your thoughts on CESQG being defined as VSQG? The conditionally exempt comes from 40 CFR 268.1. Does the proposed rule amend this section, so can you legally throw out the hazardous waste and dumpsters like consumers if you’re CESQG? Sara: No. So it’s not making major changes to the requirements. I’m just finding a slide here that shows one of the changes. So it’s going to be moved, which is a positive change, so up to now the requirements for CESQGs were in 261.5, which is the part of the classifying hazardous waste, so it’s being moved to 262, which makes more sense, that’s the requirement for generators. I am happy about the name change, at least just for presentations. It’s one fewer word that I have to say. And one of the reasons, one of the justifications for changing that name away from CESQG is that…we talked before about conditionally exemptions, the idea of that is that these conditionally exemptions were first requirements that a facility or a generator can choose to meet in order to be exempt from permitting, so if you don’t meet those requirements, you’re not right away subject to fines or orders or civil action. But it means that you have to have a permit and then you’ve got requirements associated with permitting. So that’s what it means, that’s what conditionally exempt is intended to refer to, so by calling one kind of generator conditionally exempt, it ignores the fact that SQGs and LQGs can also be conditionally exempt. So I look at it as a positive change and I think for someone coming new to the regulations is a lot clearer, that is very small, small and large. Melinda: Great. Well, thank you so much, everyone for asking these very interesting questions. And of course thank you, Sara, for answering them all, for giving us this amazing presentation. So if anyone has any last minute points, I would then redirect you to info@nimonik.com and I will be able to send you a copy of the slides, a copy of the Q&A if need be. We’ll also be sending out a link to the video recording and you know, there’s a lot of content in this presentation and I’m sure everyone will want to read it and listen to again. So here’s our contact info. If you need anything else or if you have any additional questions, I can definitely send those to Sara and will compile the answers, like I mentioned, and will send those out. So one last big thank you to everyone and I hope to hear from you with this content on today’s presentation or anything on the Nimonik platform. So have a great day and we’ll hopefully hear from you soon. The Resource Conservation and Recovery Act. This is the U.S. law, enacted in 1976, that regulates disposal of solid waste and hazardous waste. Included in these numbers are between 290 000 and 470 000 producers of very small amounts of hazardous waste who will only be affected if they take part in certain voluntary programs. A “generator category” is used to determine the requirements that apply to a generator, based on how much hazardous waste it produces in a calendar month. This is a report that large quantity generators have to submit every two years.